La traducción comercial de idioma español más descargada, más de 1300 clientes. 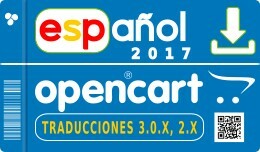 Traduciendo opencart al español desde el 2011 - Una tienda profesional merece una traducción profesional. Soporte: Soporte - Support ✔ ..
✔ Módulo profesional de traducción al idioma Español de España. ✔ Lenguaje Formal ✔ Traducción 99% Completa para Cliente y 95% Administrador de Tienda (Front-End y Back-End) ✔ Codificación UTF8, incluye caracteres especiales,..
✔ Spanish opencart 3.0.3.2 - 3.0.3.1 - 3.0.2.0..
✔ Módulo profesional de traducción al idioma Español de España. 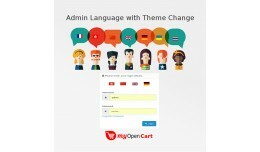 ✔ Lenguaje Formal ✔ Traducción 99% Completa para Cliente y Administrador de Tienda (Front-End y Back-End) ✔ Codificación UTF8, incluye caracteres especiales, y ac..
✔ Spanish opencart 3.0.X - 2.X - Español - ..
Finnish language pack now for Opencart version 3.X. This was big project and its done. 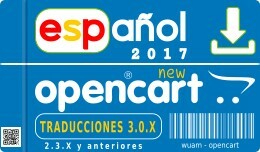 Many new files added in Opencart version 3 and those are now translated. Catalog side took lot of time. See documentation for installation. Support http..
Лесна и бърза инсталация - само за 2 минути! Инструкции за инсталиране и деинсталиране на Български езиков пакет за Опенкарт 3. 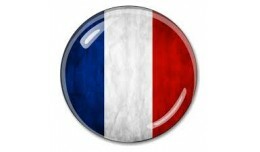 Инст..
Български език 2.0-3.0 / Bulgarian ..
Français Pack de langue française pour Opencart 3 avec assistant traducteur intégré. Temps d'installation 2 minutes, regarder la vidéo. 1. 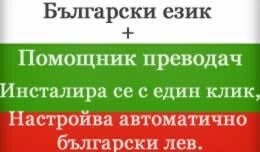 La traduction traduit automatiquement les mots et expressions de la base de données qui ne ..
Bulgarian Language 3.0 / Български ез..
With this extension you can: 1. Find files that are missing in a language and create/edit them. 2. Find files that exist but do not contain all the literals as the one in your primary language and edit them. 3. 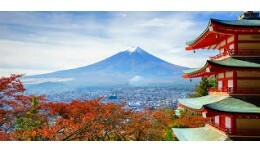 Find literals that exist but ..
Module: Japanese Language Pack for opencart3.0.X Demo:http://version6.bestshop24h.com How to install 1)please go to backend-extensions -installer- click the button "upload" to upload "JapaneseOC3x.ocmod.zip" 2)go to backend>system>localisa..
日本語 Japanese Language Pack 3.x 日语, 日.. 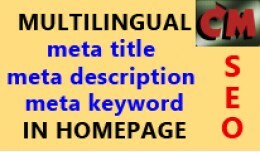 This extension make your store SEO friendly by making meta tags (title, meta description, meta keyword) multilingual. NEW! Possibility to add additional text to meta title for non home pages. 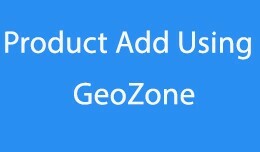 For example site name. Search engines then will di..
АВТОМАТИЗИРАНА ИНСТАЛАЦИЯ НА ЕЗИК И ВАЛУТА ПРЕВОД НА ТЕКСТОВЕ В БАЗАТА ДАННИ ГЕНЕРИРАНЕ НА SEO АДРЕСИ С И БЕЗ ТРАНСЛИТЕРАЦИЯ, АВТОГЕН�..
Slasoft Global Admin Language Switch It is a very powerful and useful extension whenever you have 2 and more languages need to be managed. 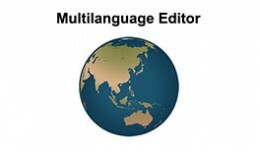 If you have partners or suppliers speak and write different lanagauges, since the mother language usu..
Slasoft Global Admin Language Switch for v2.3 + ..
Opencart Korea - Store Front - Store Front Only - KOREAN Language (UTF-8) - Administration -Not included (Include default English - ANSI ) - Version 3.0.3.1 - It was tested. 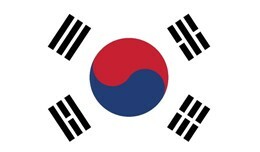 Opencart Korea -Sample https://opencart.to * Koreans bou..
Korean Language Pack ocmod.zip (Start selling in..